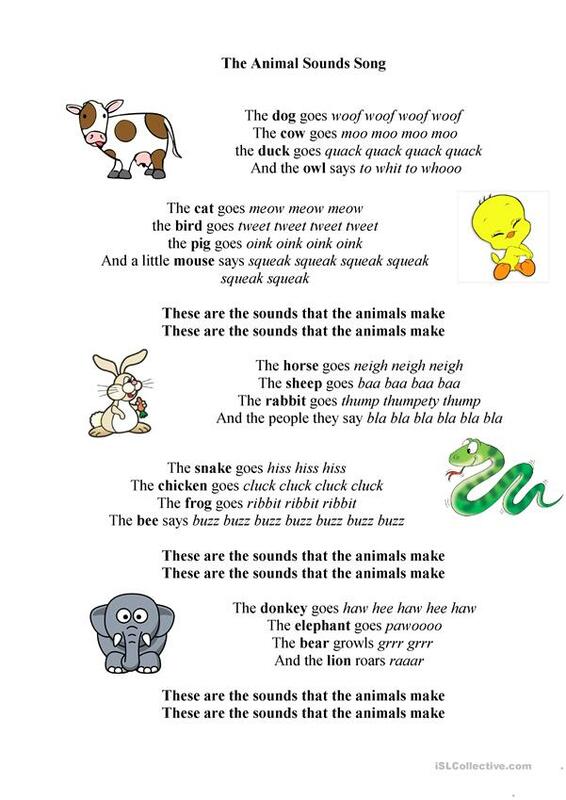 There is a wonderful video song on youtube: https://www.youtube.com/watch?v=t99ULJjCsaM that helps to practice the animals' theme and produce sounds as animals do. It is a full text of the song. This downloadable handout was created for elementary school students and kindergartners and nursery school students at Beginner (pre-A1) and Elementary (A1) level. It is valuable for consolidating Present simple tense in English, and was designed for honing your learners' Listening, Spelling and Reading skills. It focuses on the vocabulary topic of Animals. Hello! I am a teacher from the northern part of Russia, Surgut. I am a great fan of English. My hobby is photography.